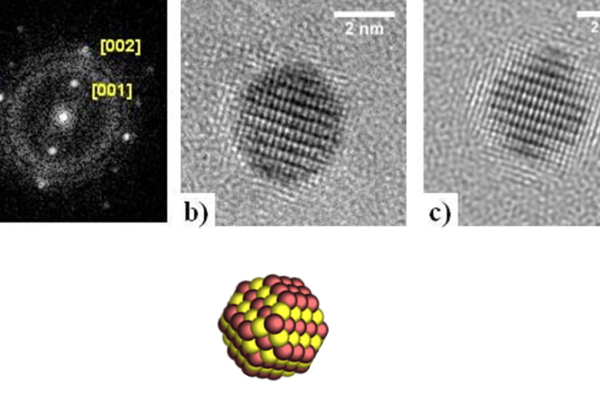 AuRh nanoparticles were prepared by colloidal methods and immobilized on rutile titania nanorods [1,2]. Depending on the applied post-treatment, different types of segregation behaviours were evidenced, ranging from Rh core – Au shell to Janus via Rh ball – Au cup configuration (a, b) . 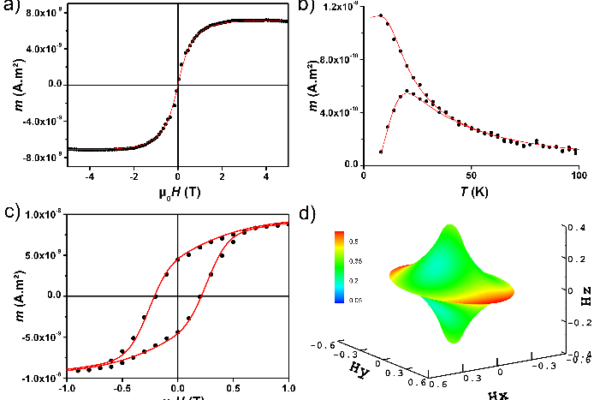 The stability of these structures was predicted by DFT calculations and was explained by the lower surface and cohesion energies of Au with respect to Rh, and the preferential binding of Rh with the titania support [3,4]. 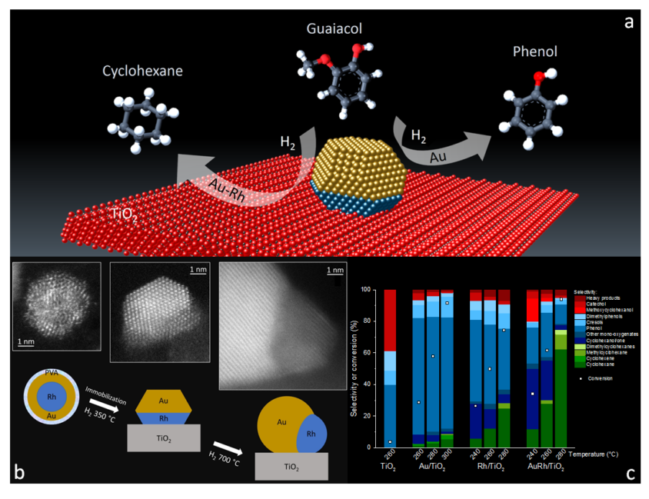 TiO2-supported Au, Rh and AuRh catalysts were tested in guaiacol hydrodeoxygenation. 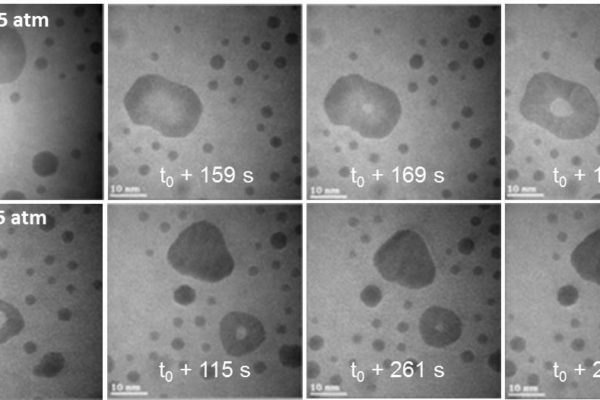 Au/TiO2 is active and 85% selective to phenolic compounds between 260 and 300 °C, while AuRh/TiO2 is the most selective catalyst toward O-free (naphthenic) compounds (c) .